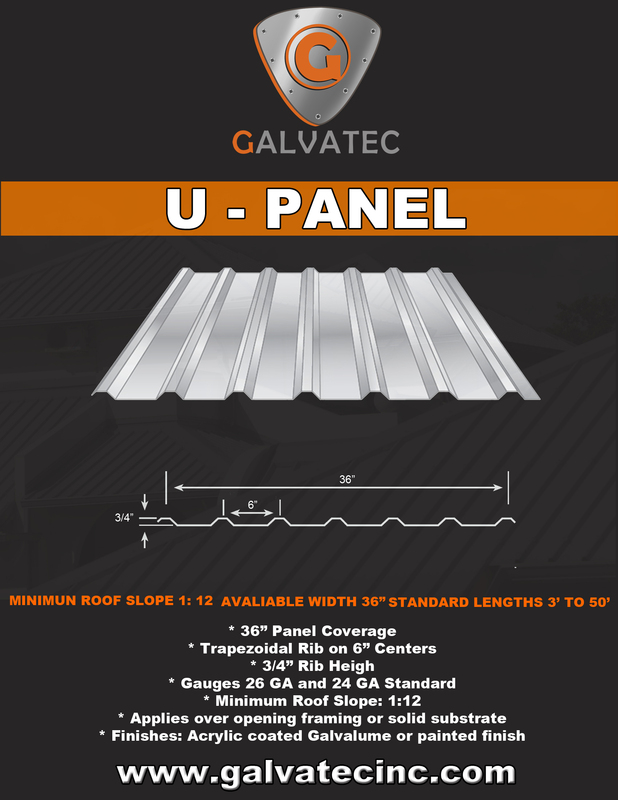 Galvatec Inc. U – Panel is made of 26-gauge commercial grade steel, which is heavier than the 29-gauge material that’s commonly used on metal roofs. One of the benefits of choosing U – Panels is that you can install them on top of an existing shingle roof, which can save time, labor and disposal costs. These panels are available in a wide variety of colors.